Amsterdam. Big, cosmopolitan, English-speaking, bicycle-riding, welcoming city, where a typical everlasting scent “guides” you throughout the streets. 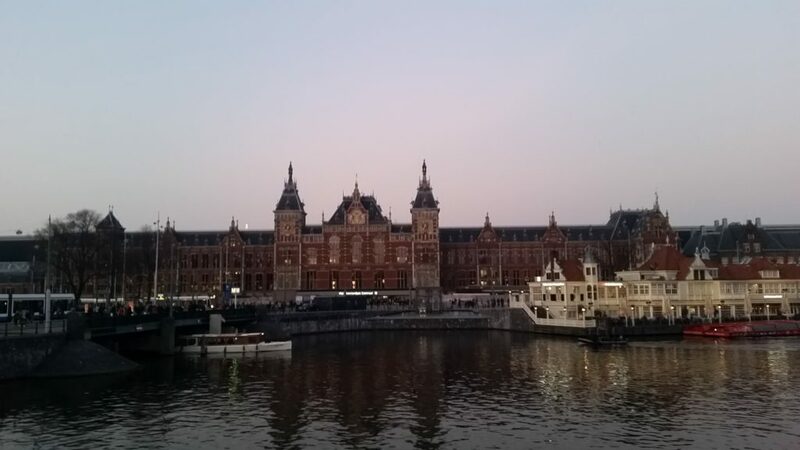 Your camera won’t stay in your pocket or backpack for long, because the first building you see, is the Amsterdam Central Station. 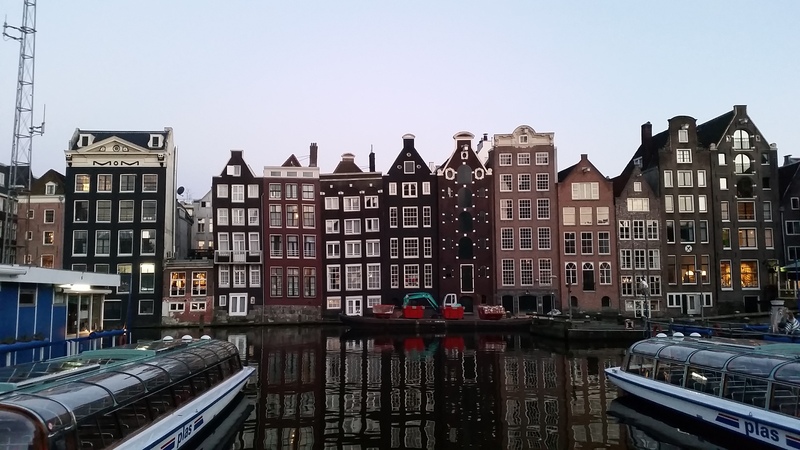 The location of this building is great for tourism because it’s a few-minute walk to the historical center of Amsterdam. 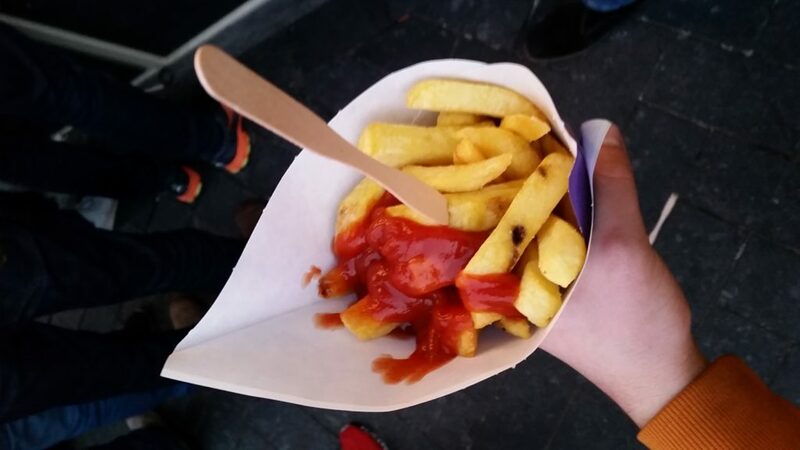 While you are walking, you can buy typical Dutch Fries with a great selection of delicious sauces. However, the main reason for our visit wasn’t gastronomy, but the Angular conference called NG-NL. This was already the third NG-NL conference in Amsterdam and the selection of speakers, topics, location, and the organization was excellent. 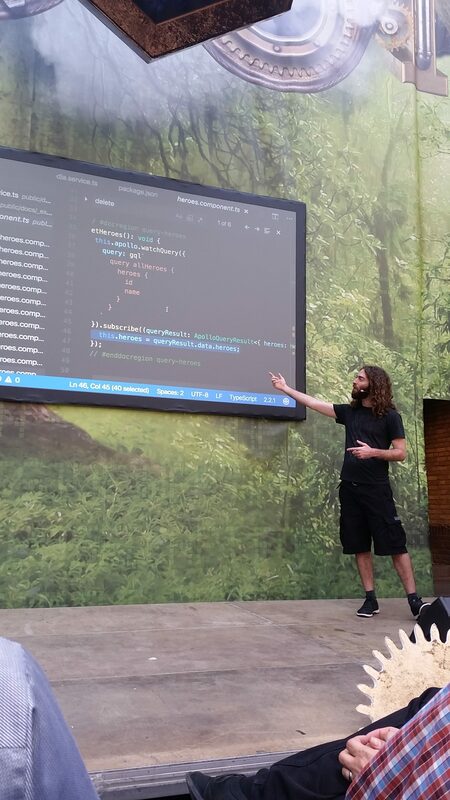 The conference was opened by Todd Motto, who walked us through some great use cases of Reactive Forms, and the powerful API they provide. GraphQL is a newish technology, which I had my eyes on from the very beginning, but didn’t have the actual time to investigate it in depth. Uri gave a perfect talk, during which he introduced some basics of the technology and walked us through some great use cases of the technology with an emphasis on real-world advantages and some problems to watch out for. Great speaker, very good prepared talk with easy to grasp, but real world examples of lazy loading Angular modules. There are many ways to improve a startup performance of websites and Angular SPAs. One of them is the ability to split your code into multiple module-related bundles, load the necessary ones on the first load and lazy load the rest of them later. There are multiple ways of lazy loading. One of them is loading the modules right after the first page is loaded, another way is to load the modules on demand, e.g. the user navigates to a route with that particular feature modules. Very interesting non-technical talk about prejudices, where they come from and how we can lower their impact on our everyday life. I think that everyone should take at least one of these tests. To sum up, the conference was very well-organized. There was a lot of great speakers, friendly people, good food, refreshments, and coffee. It was certainly beneficial for us and I learned a lot. On the other hand, there were some talks, which I did not enjoy because their purpose was only to introduce some new topic or technology. My opinion is, that blog posts are great for this purpose. Conference talk should be more in-depth with real-world examples and challenges so that a lot of discussions and solutions can arise. On our way back from the conference to the Central Station, we decided to walk – we had plenty of time and it was a nice 45 minutes walk through the city. However, as we found out later, it was a fearful walk – not that the city itself would be unsafe, but with the bikers everywhere, we just didn’t know where to step to avoid getting ran over by one of them riding at least 30 kph, looking sideways and texting at the same time. 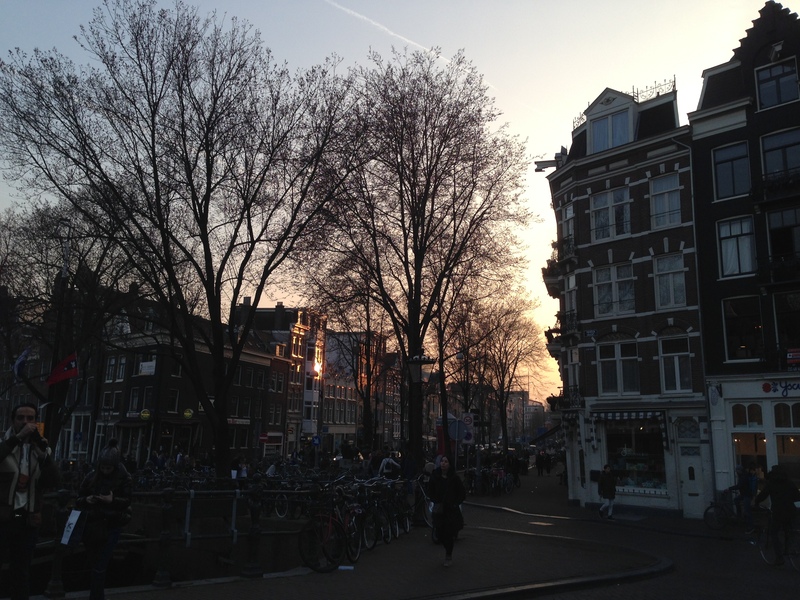 So when in Amsterdam, mind the biker!